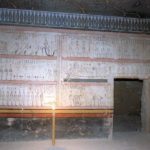 Thutmose 3 the younger brother or nephew of Queen Hatshepsut. 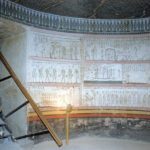 He was probably the son of Thutmose 1 or Thutmose 2 and of a harem wife called Nefert. 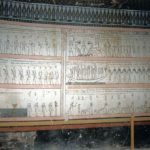 When Thutmose 2 died he was too young at the age of 4 to succeed his father, so his aunt or half sister stepped in as regent. 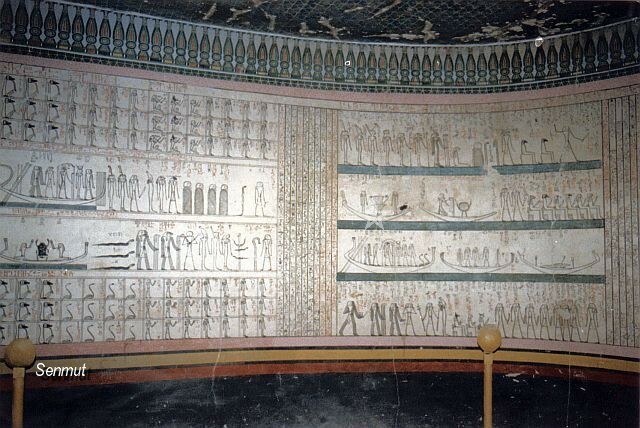 Her ambition grew by the years and with help of her loyal Steward Senmut she pushed him away and sent him to the army. 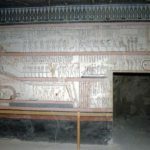 After almost 30 years, after the Hebsed festival of Hatshepsut, the lion broke loose and overtook the thrown by force. 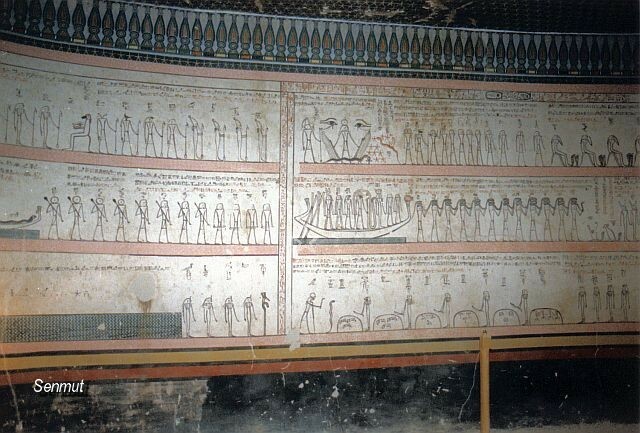 He was a great general and was famous for his battles at Megiddo and Kadesh. 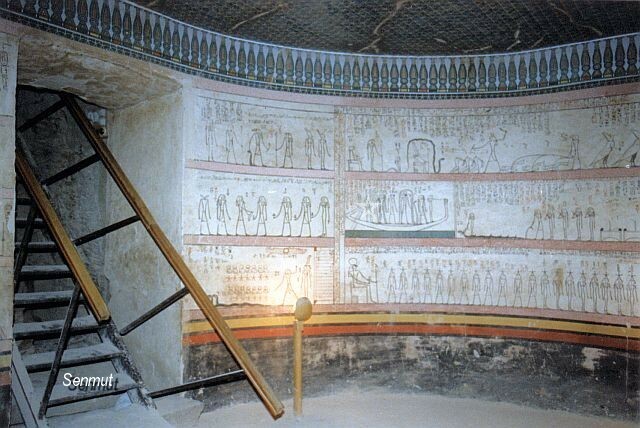 He was also the one he introduced the usage of horses in the army, the famous light chariots. 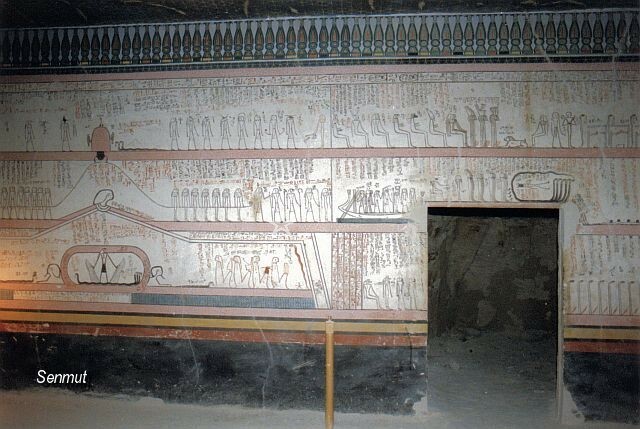 He choose for his burial site the Valley, and followed in that the footsteps of his father and grandfather, who both have a tomb in the valley, near the location of KV35. 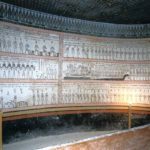 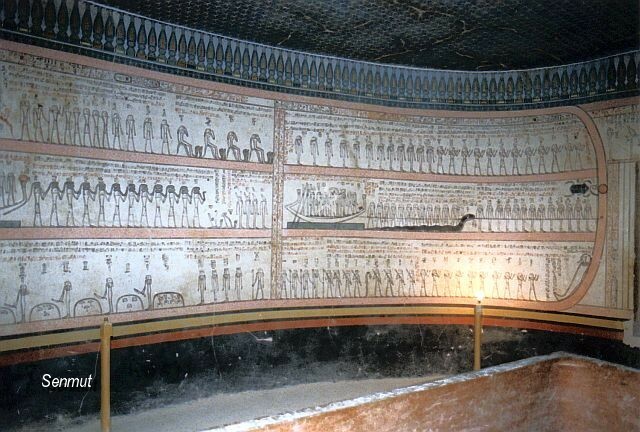 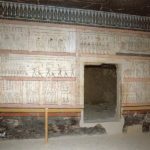 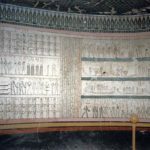 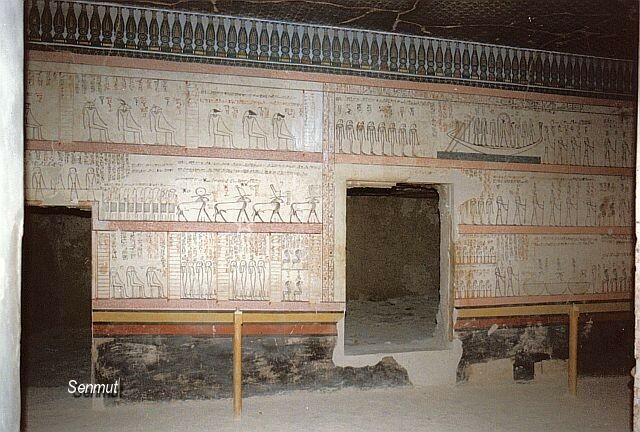 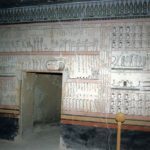 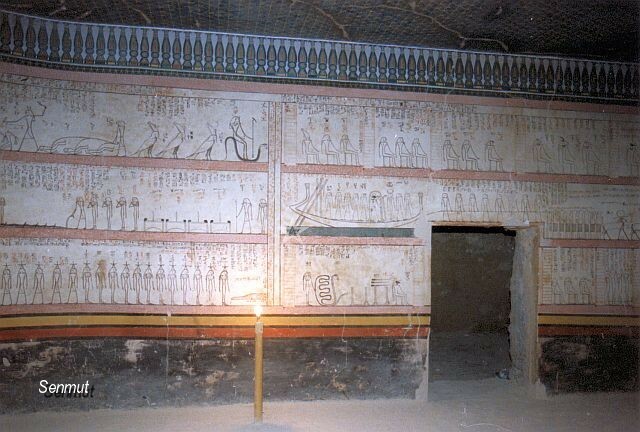 His tomb is typical 18th dynasty, with an entrance and an angle of 90 degrees and an oval burial chamber. 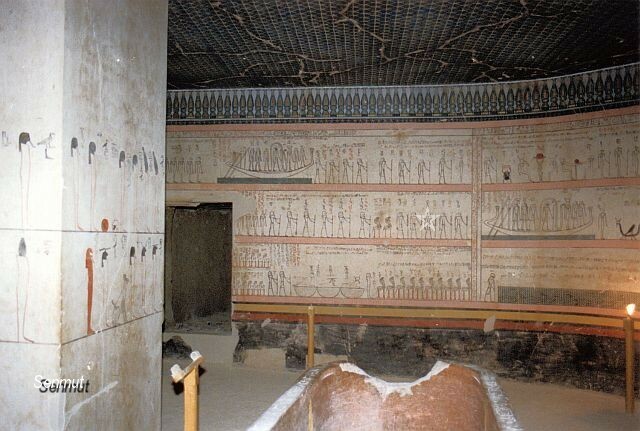 The tombs of Thutmose 1 and 2 are in fact even smaller and unfinished. 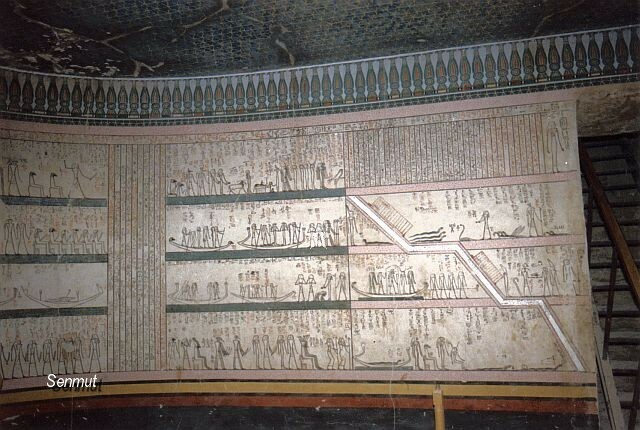 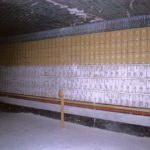 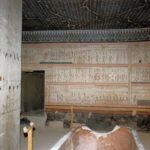 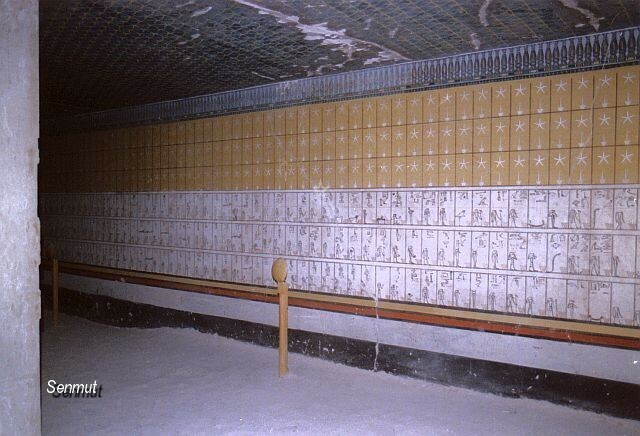 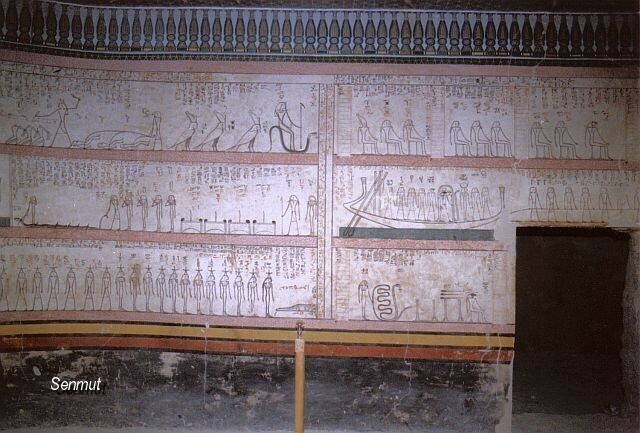 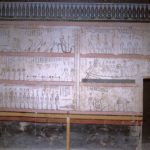 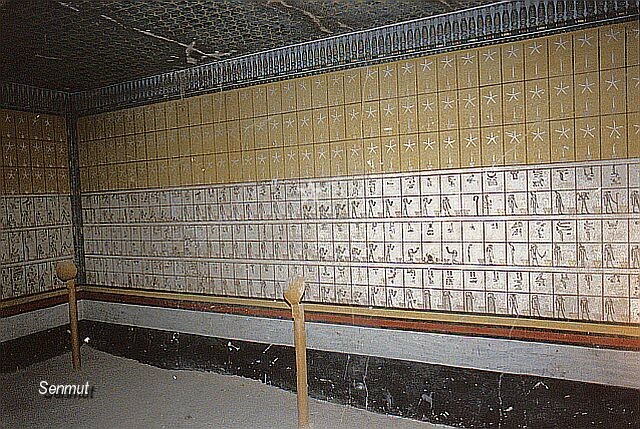 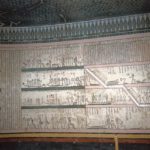 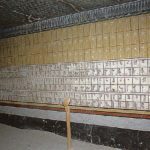 The walls are painted instead of carved and show the complete Book of the Dead, Amduat, all 12 hours. 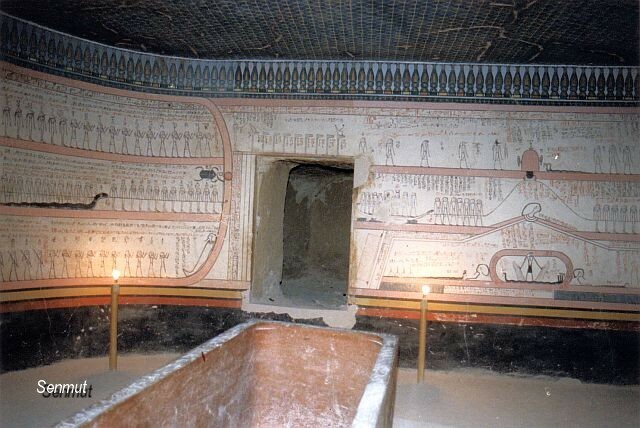 Today its one of the tombs which suffers the most from the visitors, because its so very deep and filled with bad air. 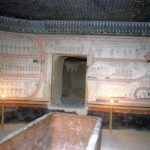 In the 80´s a glass wall was placed inside the burial chamber, but we got the whole chamber without the glass, from a visit in 1978. 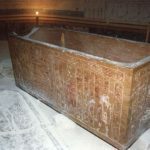 At the moment the tomb is closed for the desperate restorations, which are now carried out, when and if the tomb will be opened again for the public is unknown and not uncertain. 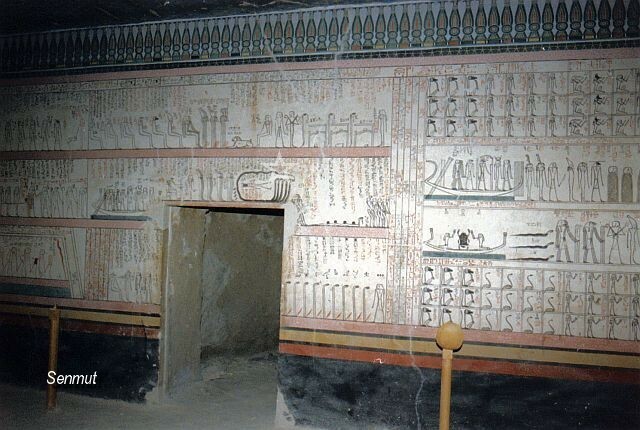 Hatsepsut was buried but the place is unknown. 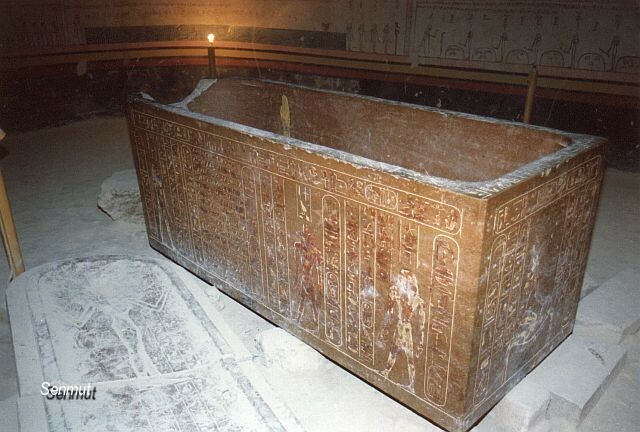 In 2010 her mummy was discovered by Zahi Hawass in the burial pit KV60, in front of the entrance of the tomb of Monthuherkhepsef.